Regional industrial inkjet printer supplier expands company’s footprint in Chicago market. A native of Chicago, Allen is a 29-year veteran of the printing, marking and coding equipment and solutions industry. OAM Equipment Solutions, one of the leading equipment suppliers in the print, mail and packaging industries, announces the addition of Dan Allen as regional account executive of the company’s Greater Chicago region. 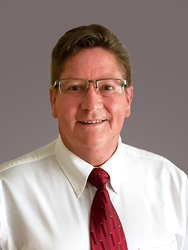 A native of Chicago, Allen is a 29-year veteran of the printing, marking and coding equipment and solutions industry. Most recently, he was part owner of a large independent mail equipment dealer in Chicago. Allen has provided mail equipment solutions and services for corporate and non-profit mail rooms and centers. His experience in product solutions includes postage machines, inkjet printers, tabbers, folders, inserters and software. Headquartered in Cleveland, Ohio, OAM was founded in 1961. Today, OAM is one of the leading industrial inkjet printer suppliers in the print, mail and packaging industries. It has been the largest U.S. distributor of Kirk Rudy equipment for more than 15 years and also carries equipment from the top manufacturers in the industry. In addition to an extensive product selection, OAM offers packing equipment and machinery, ink and supplies, maintenance services and employee equipment training. Learn more at http://www.oamequipment.com.